Beautiful story on so many levels. It’s a healing story and I think that’s partly due to all of the honesty which has given this young person so much insight into himself and the world. Sharing the Stories of LGBT Youth: Noah, 19, From Macon, Ga.
We Are the Youth is a photographic journalism project chronicling the individual stories of lesbian, gay, bisexual, and transgender youth in the United States. Through photographic portraits and “as told to” interviews in the participants’ own voices, We Are the Youth captures the incredible diversity and uniqueness among the LGBT youth population. We Are the Youth addresses the lack of visibility of LGBT young people by providing a space to share stories in an honest and respectful way. Below is the story of Noah. Noah’s story is part of a series of profiles from the Southern United States. We Are the Youth is expanding its reach and currently fundraising through a Kickstarter campaign to expand We Are the Youth to the Midwest. Before I left for college my parents told me not to tell anyone at school I was gay. But I was so excited about being in a gay-friendly place, the first thing I did when I got to campus was find out who was in charge of Common Ground, Mercer’s gay-straight alliance. Now I’m the president. I made the decision to get involved with a lot of different things at school. I’m the photo editor of the school paper. I’m in Amnesty International. I’m on the table tennis team. I also do my own photography, and I’m having my first gallery exhibit this winter. Plus I’m trying to keep my grades up while having a long-distance relationship with my boyfriend, Kayden, in Atlanta, which takes the commitment of a full-time job. I have to force myself to sleep. Mercer is a small Baptist school in the South, so it’s not going to be a liberal school. But it has a history of gay activism on campus that I didn’t tell my parents about when I was applying. My parents know I’m president of Common Ground, but I don’t think they realize what a big part of my life it is. I didn’t know any gay people before I came out, so I figure it’s my job and responsibility to make sure it’s easier for other people. I was 16 when I came out. I told my friend, and he thought I should tell my parents, because he was worried about my soul. They weren’t thrilled. I had to go to several Christian therapists. Not ex-gay therapy, but ones that try to work out what’s best for you. A month later I actually got kicked out of my school. I told only two people at the school I was gay, so I know exactly who told the administration. It was a private school, and they had a secret meeting. It was about a week before my senior year was about to start. I had enough credits, so I just graduated early. It was rough. I didn’t feel like God loved me or my parents loved me. All those things happened at once, and it was intense. December of that year I tried to commit suicide. I tried to swallow a bunch of pills. A friend called when I was doing it, and she talked me out of it. Then I decided not to feel so sorry for myself. Looking back, I think it was a halfhearted attempt, but back then I thought I was so serious. I really did believe it was the only option. I really did. Afterwards, I sent my parents a garbled letter in emotional language. I don’t think they know the extent of how serious it was. I think they thought I was being a hormonal teenager, which I sort of was. That was two years ago. Everything is so much better now. At college no one cares that I’m gay. My brothers and sisters don’t care, and my father’s trying to be accepting. This summer my mother said she’d rather I be a drug dealer than be gay, because there’s rehab for being a drug dealer. But just recently she told my dad, “I’m not going to be one of those Christian people who hates gays.” She’s making an effort, and in turn I’m trying to be as sensitive as I can be to her needs, like, I try not talking about gay stuff around her, and when I’m with Kayden I try not to be handsy. It may not be the best situation, but it’s improved dramatically. Kayden’s coming over Christmas Eve. He’s never been here on a holiday with my extended family. I anticipate that no one will say anything. It usually bothers me when people don’t talk about stuff, but in this particular case, I’m kind of cool with it. I used to think that when people didn’t say anything, they were thinking all sorts of bad things, but now I realize it’s that they’re making a conscious effort to be more accepting. Kayden and I have been together two years. We met when we both lived in Alpharetta, Ga. Now he lives in Atlanta, and I live in Macon, but we try to see each other every weekend. It’s actually good on a small campus like Mercer, where everyone’s in everyone’s business, to date someone from outside the bubble. But we don’t have that connection you have in a relationship where you see each other all the time. But we work at it. Skype helps. I feel very lucky to be with him. He balances out of all the things I can’t take care of on my own. 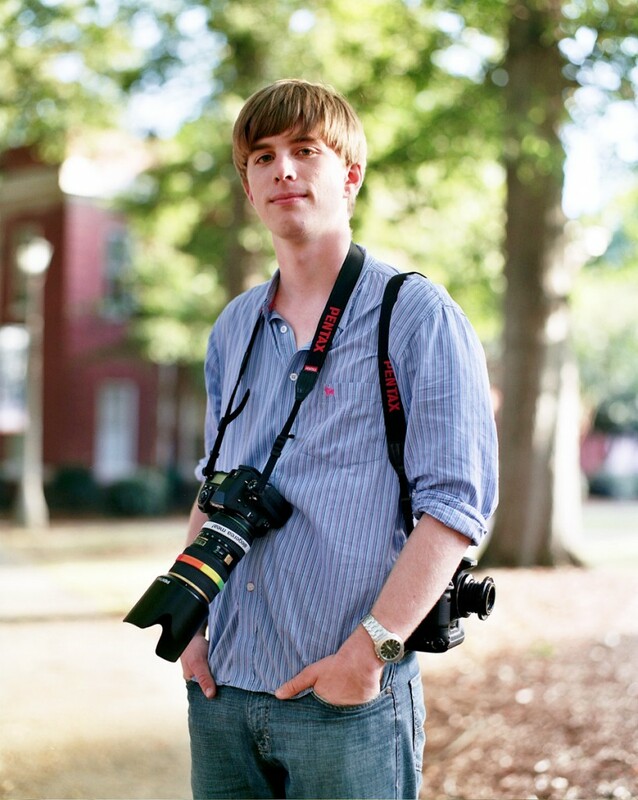 Diana Scholl: Sharing the Stories of LGBT Youth: Noah, 19, From Macon, Ga.